Keeper David de Gea hopes to help United grab a European place. David de Gea says Manchester United are determined to ensure that they will be competing in European competition next season. The reigning Premier League champions have been unable to put themselves in a position to defend their top-flight crown in 2013/14, and have slipped off the pace in the race for UEFA Champions League qualification. David Moyes’ men – in his first campaign at the Red Devils’ helm – sit seventh at present, nine points adrift of the top four and three behind sixth-placed Tottenham Hotspur. Edging above Spurs would guarantee them a Europa League berth, and Spanish goalkeeper De Gea claims bringing continental football back to Old Trafford is a top priority. He told United’s official website: "There are still plenty of important games to play. 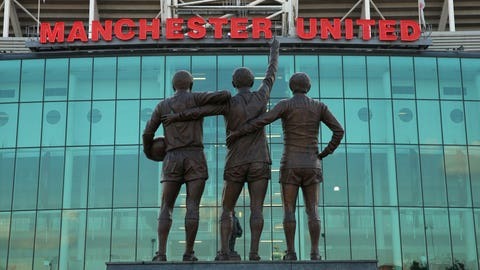 We are Manchester United and it’s our duty to win every game we take part in. "That’s what we’ll try to do now because we want to finish as high as we can in the league, ensure we’re playing in a European competition next season and show we are still around and that we will never give in." United’s European quest this term was halted by Bayern Munich in the Champions League quarter-finals, with a 4-2 aggregate defeat sending them crashing out. 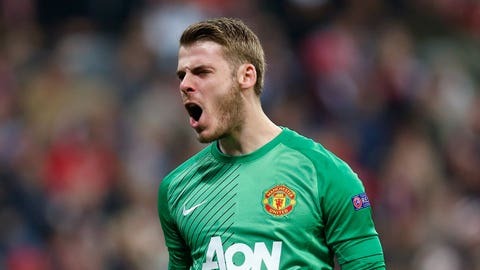 De Gea believes the Red Devils offered enough over the course of a two-legged tie, though, to suggest that they are capable of competing with the best in the business. He added: "The Bayern defeat was tough for us to take. We put in two really good performances, we did well in both games of the tie and, with a bit of luck, I think we could have got through. "But it was always going to be a difficult task going to Munich and they pressurized us a lot in the Allianz Arena. But of course we have to keep going."